We’re a fully featured BT Premier Partner, recognised for our expertise surrounding the design, proposal and pricing of Global or UK MPLS WAN services. The Network Union is one of only a few Premier BT Business Partners, recognised for our work across VPN connectivity including MPLS WAN services. Our Partnership is positioned to help you align your business network requirements across strategy, technical and budget with a fit for purpose WAN design. We’re winners of numerous accolades including the BT Innovation award for our sales process. Our team work systematically across 25 key networking vectors we know to be important when IT teams embark on network procurement projects. With every project we work on, our team apply repeatable presales workflows to help minimise the risks associated with provider migration or new greenfield projects. Our overall objective is to help companies and organisations procure MPLS WAN services that are guided by the alignment of business objectives and processes with their own specific WAN architecture. The WAN should act as an enabler and not a bottleneck. Accelerated insights - successful Managed MPLS WAN procurement requires a process to align and analyse your requirements. Our sales process won the BT award for Innovation. The 25 point data alignment process - Our sales process will guide you through building a WAN architecture to support your users, applications and customers. We comprehensively work through every key area including application flow and performance, resiliency and diversity, project management, challenges for Global MPLS vs. UK, security - e.g. firewall, content filtering and DDOS, cloud - e.g. Office 365, Microsoft ExpressRoute for Azure, delivery and migration, test planning, support and service management, adds, moves and changes, reporting and statistics, and documentation. The Products and Services - With the capability to offer end to end managed services including Firewall Security, DDOS (Distributed Denial of Service) protection, Managed LAN, Cloud services and more, our access to the BT WAN portfolio allows our teams to meet the demands of most requirements. On the theme of connectivity, MPLS WAN is further enhanced with hybrid network connectivity including SD-WAN, VPLS, SHDS, Optical and 3G / 4G failover and fast start capability. Learn about the very latest hybrid WAN technologies via our free 2-hour workshop held at your office by Techtarget.com writer Robert Surt. Learn about SD-WAN vs. MPLS vs. VPLS, application performance flow, QoS, diversity and more. Permira, Royal British Legion, CDC and Endava all started their WAN buying journey via one of our workshop sessions. Rated as excellent. Let us know your availability. Begin with an MPLS WAN Workshop. The BT Managed WAN product has evolved immensely over the last 12 months to include not only an MPLS core Global and UK capability but a full suite of services. The current product set is surrounded by a hybrid of cloud, security and value add services including Managed LAN. To better understand your own requirements, the workshop is a great way to not only understand the latest MPLS Layer 3 product enhancements but also to gain an overview of technology. While your business may opt for a central product capability, other hybrid technology could be a better fit, e.g. SD-WAN or VPLS. IP VPN Architecture, Design and Pricing. Leading on from the workshop, we look to put our own sales process into practice. Using our award winning WAN providers buying checklist, we’ll work to understand the drivers behind your IP VPN project. Our technical sales team are able to both consider what makes your business unique together with your traffic and packet application flow from a user and site perspective. We’ll also walk through your own unique challenges, risks, pitfalls and opportunities. Proposal and Technical Design Authority. Once we have a draft design, the next step is to request MPLS WAN pricing. Depending on locations, this process will typically take between a week or longer if your network is global. The overall design is sanctioned by technical design authority resource operating at Cisco CCIE level. This ensures our architecture is fit for purpose and offers up additional opinions and ideas as to supporting your business. How you migrate from an existing provider requires careful thought. With all key BT groups located within the same location, the process of communication is vastly improved. Timescales and test planning are at the forefront of any migration plan. 1. The MPLS WAN Provider Capability. The BT Global and UK MPLS network is certainly one of the most well engineered and highly respected IP data services backbone in the industry. With reach into over 200 countries and a significant PoP (Point of Presence) density across the UK, application performance is typically excellent. Perhaps one of the major benefits of BT Business is the ability to deliver hybrid connectivity. Alongside MPLS VPN, customers are opting to add layer 2 VPLS (Virtual Private LAN Service), VLL (Virtual Leased Line), SHDS (Short Haul Data Services), Optical Connect and Internet all under a single managed WAN services environment. The latest managed network services are also complimenting connectivity with cloud, security, IP convergence and consulting delivered via a single team headquartered within the most secure ex Government building in the United Kingdom and Northern Ireland. 2. The SLA (Service Level Agreement). The BT WAN SLA covers network uptime, traffic throughput and packet loss, network latency, network jitter with a mean time to repair and delivery guarantees. The SLA differs between products, i.e. Ethernet services offer an improved fix time vs. Super fast broadband. However, managed service devices (Cisco routers) are covered by a SmartNet contract providing a response and fix time across the globe. Application performance is guaranteed by QoS (Quality of Service) traffic flow. If the EF class (Expedited Forwarding) is used, voice and any delay sensitive applications will be met with latency and jitter guarantees applicable to the top level of prioritisation. Likewise, AF (Assured Forwarding) and Be (Best Effort) will also receive particular latency SLA figures. 3. The NOC and Incident Management. The latest managed MPLS WAN product has undergone changes which do not look particularly innovative when discussed but actually make a profound difference during the contract. The BT NOC incident management team are now centralised in terms of overall managed services resource. An example how your WAN is supported in respect of location. The NOC team interface work alongside (physically at the same location) other team members including technical design authority, engineering, support and management. The ability to discuss customer issues as a true team means the end to end process is much agiler which results in faster circuit and service fix times. A suite of tools offered to customers with a dedicated support team to make continuous improvements and provide training. The BT tool set is designed to underpin your WAN activities from being able to log support tickets through to examining network performance and data usage. With technology adapted from Solarwinds, LANSweeper, Visnetic, BMC and Vision app, the BT customer tools offer comprehensive yet simple access into your network circuit information. Perhaps an important aspect is a view into trouble ticketing where faults are registered and tracked when updates arrive. Over and above support tickets, change control is a further element of the tool set. Adds, moves and changes are all components of the portal allowing you and your team total control over the WAN. As BT Business own the end to end stack of tools, there is the ability to adapt reports to suit your organisation application requirements. Throughout your contract - We continue to technically account manage your business during term. With regular meetings, reports and reviews including SLA breach data, we maintain our value on an ongoing basis. In addition to our technical account management resource, BT Sales Specialist and Partner Management resources are applied to assist with internal processes and systems. All routing and switching for MPLS services is based on Cisco routers and switches with support from HP and Dell. Security services are provided by Cisco and Checkpoint with options for Palo Alto and Juniper. Available from Cisco Meraki and Cisco wireless, we’re able to provide consultancy and design for wireless solutions including survey. 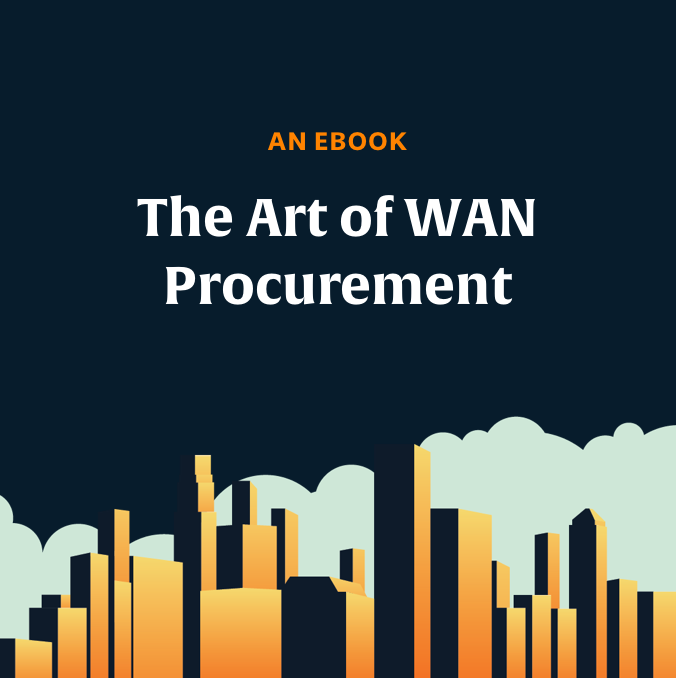 The Art of WAN Provider Procurement – Rated as excellent by Permira, British Legion, CDC Global and others. Our free 2 hour training sessions are available at your office. Using just a whiteboard and pen our techtarget.com writer will run through the latest technologies and design scenario’s involving SD-WAN, MPLS, VPLS, Internet VPN, Security and Cloud access. Book a conference call – Take a look at our diary and book a meeting, available across the UK and Globally on an ICB basis. We’ll try not to sell features and benefits, you’ll learn a little about each other and decided whether or not to talk further. Talk to us fast – Of course, you could use the telephone but we know Live Chat is a great way to start your MPLS provider investigations. Just simply use the chat window to make contact at the bottom right. However, any hybrid of MPLS, VPLS or Internet capability cannot support every eventuality. With this in mind, IT teams need to decide which business strategies to support; for example growth from mergers or acquisitions or new methods of working such as the vast capability from productised cloud based offerings. Sometimes it is possible to support numerous business strategies but this is largely dependent on the availability of resources. We witness many organisations prioritise cost saving via methods which involve little more than an Excel spreadsheet which includes circuit bandwidth and Ethernet 1Gbps and 100Mbps circuit speeds. This approach results in a commodity based purchase decision which may well reduce costs but the potential impact of weak MPLS WAN or Internet design vs requirements has the potential to impact the business.